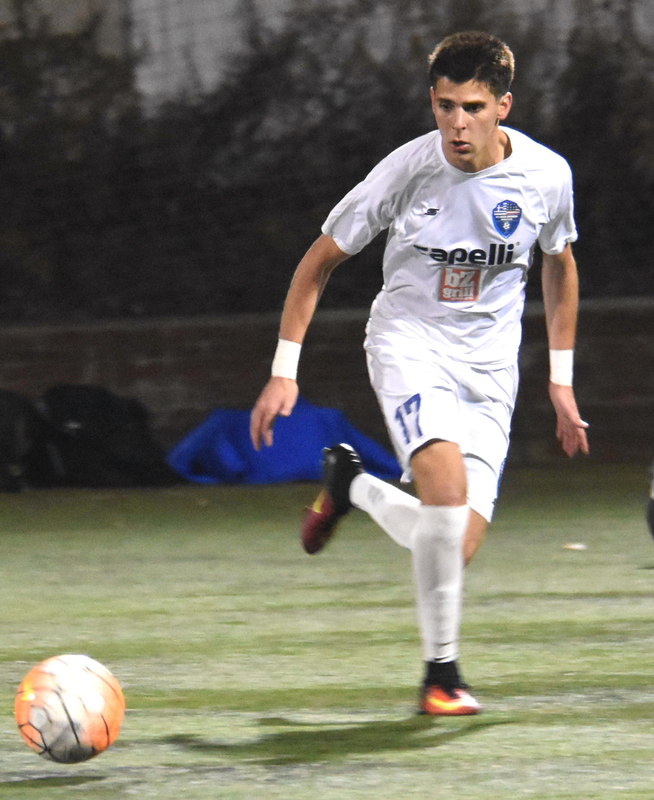 NY Greek American blanked Lansdowne Bhoys 2-0 on a foggy Wednesday night at Tibbetts Brook Park Field 3, thanks to Adam Marcu’s opener and substitute Tyler Botte’s second half finish. Lansdowne had the first close scoring opportunity of the game with just three minutes on the clock. Mamadou Guirassy beat the offside trap and paced to Lukas Zarges’ through ball but was unable to hit his shot on frame, steering the ball past the left goalpost. The Greeks registered their first shot of the match the following minute as Marcu acrobatically stretched on a long pass but only to swat the ball away from keeper Abdoukarim Danso’s net. Marcu’s next shot gave the visitors the lead. The midfielder banged Colin Murphy’s deflected low-cross to the bottom right corner of the net beyond keeper Danso in the 10th minute. NYGA almost lost their lead four minutes later with a rare mistake in the back as Benjamin Lamb headed a weak pass back to his keeper, Bradley Johnson. Lansdowne’s top scorer Ovan Oakley rushed to Lamb’s back pass before hitting a shot from the top of the box just inches past the left post of a keeperless net. Oakley attempted to put Lansdowne leveled again in the 34th minute, curling a marvelous one-time shot via Guirassy’s short pass with the outside of his boot but straight at keeper Johnson. Lansdowne Bhoys striker Ovan Oakley drew an uncomfortable save out of NY Greeks keeper Bradley Johnson with an outside of the boot curler in the 34th minute-- pic of Oakley in a game versus Southie F.C. Johnson fumbled the Jamaican’s spin-shot; Guirassy pounced at the rebound in a tight angle on the six-yard box before maneuvering a shot that unfortunately for him and his Bhoys hit the outside side netting. Five minutes later, it was the Greeks who had their opposing defenders on their toes. Goalscorer Marcu stretched Lansdowne’s back four with a dazzling switch from the left flank to Junior Rosero on the right. Rosero then sent an inch-perfect low-cross to Murphy. The Florida native couldn’t top the play with a goal, skying the ball over the crossbar. Lansdowne ferociously looked for a way past NY Greeks’ deep organized backline but in vain. Head coach Austin Friel brought in ex-League of Ireland player Daryl Kavanagh in the middle of the second half. Kavanagh came close to cut NYGA’s lead in half, curving a shot just outside the far top corner of the net after cutting in from the right wing in the 68th minute. Later on, Lamb almost granted NYGA a 2-0 lead, heading the ball of the bar on a corner kick in the 77th minute. Two minutes later, the Greeks did manage to go up 2-0 over the amateur champions. Louis Greenway-Tambini bolted down the left flank on a counter before hitting a low-drive from the box. Keeper Danso put a strong hand on Greenway-Tambini’s shot but was unable to hold on to the ball to Botte’s advantage, who hammered the rebound in the net. Lansdowne fought to get themselves back in the game to the dying minutes of the encounter. One of the Irish club’s last attempt on goal was Zarges’ curler from outside the box. Keeper Johnson made sure his team went home with the clean sheet, flying to the left upper 90 to block Zarges’ shot. 1. 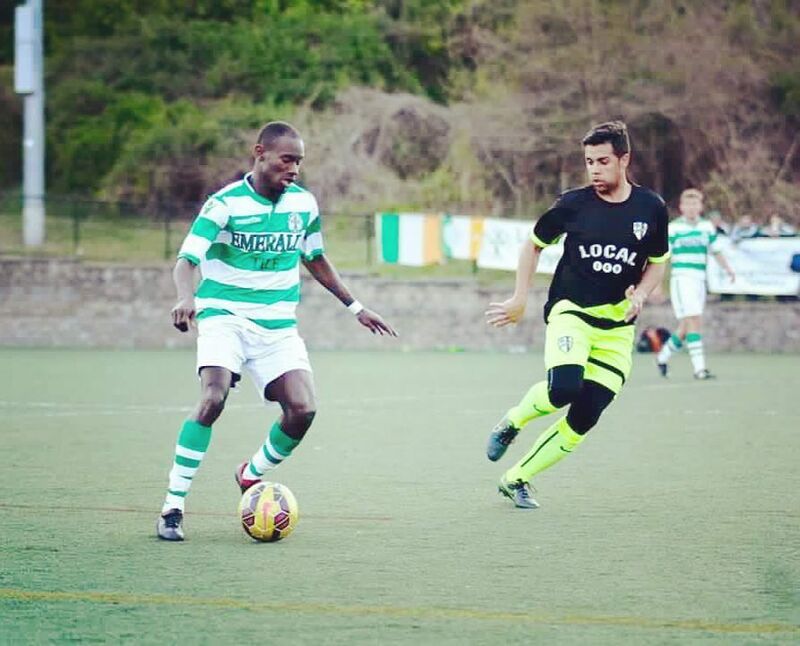 Rough Spring CSL campaign for the Bhoys: Lansdowne uncharacteristically went winless and scoreless in three of their five CSL games in the second half of the season, drawing with Zum Schneider F.C 0-0, falling to Cedar Stars Academy 3-0 and to NY Greeks 2-0. 2. The Greeks are getting too comfortable at Lansdowne’s home: NY Greeks is the only team that defeated Lansdowne at Tibbetts Brook Park this season. The club is on a four-game winless run against the Bhoys at Tibbetts. 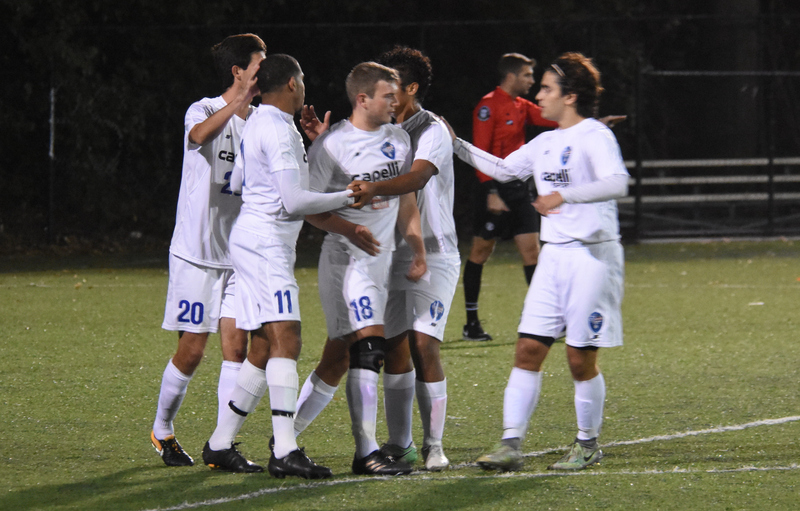 NYGA notably knocked Lansdowne out of the ENY Fricker Cup semifinal in penalties after a 0-0 draw in the first half of the season and eliminated them in the CSL playoffs last year 1-0 at their turf. 3. The Bhoys wanted to score: Lansdowne had 22 shots against NY Greeks, hitting five on target. NY Greek American striker Tyler Botte expressed how tough it is to play against the double national amateur champions Lansdowne Bhoys. The 25-year-old praised the club’s coaching staff for leading the team to the victory. 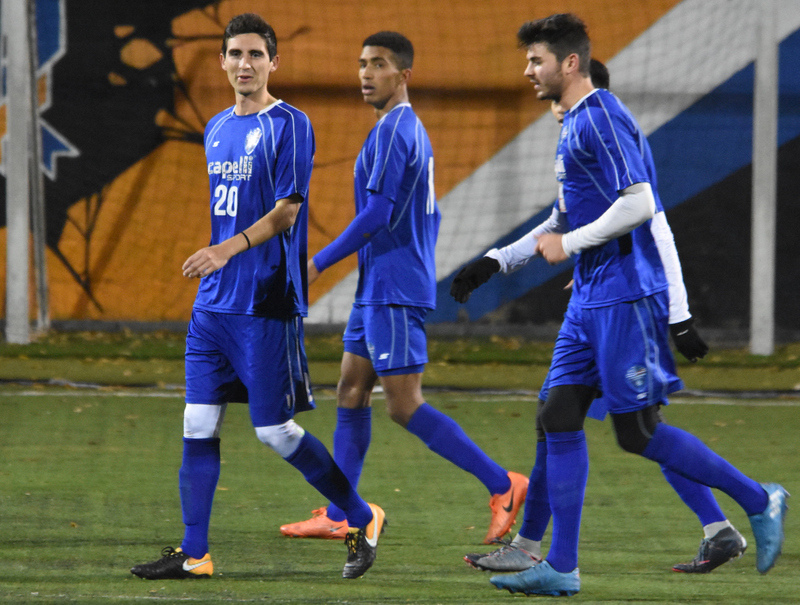 The converted forward--from center back--netted the Greeks’ second goal to move to eighth place in the CSL top scorers’ chart with five goals.